3300 Renwick Avenue has a Walk Score of 35 out of 100. This location is a Car-Dependent neighborhood so most errands require a car. This location is in the Laguna West neighborhood in Elk Grove. Nearby parks include Town Hall Park, Barholomew Park and Lawrence Park. Explore how far you can travel by car, bus, bike and foot from 3300 Renwick Avenue. 3300 Renwick Avenue is in the Laguna West neighborhood. 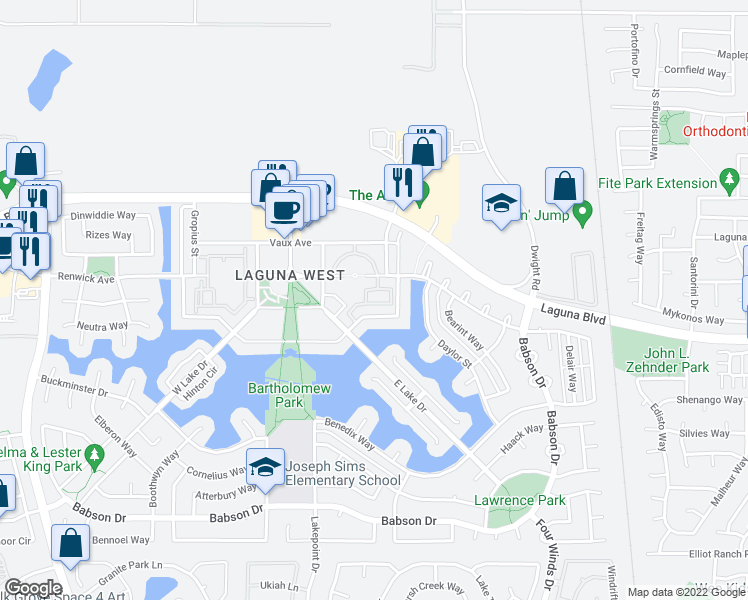 Laguna West is the 3rd most walkable neighborhood in Elk Grove with a neighborhood Walk Score of 27. Great Elk Grove Home For Rent! SPACIOUS SINGLE STORY 4 BDRM; SOME UTILITIES INCLUDED! NEWER 3 bedroom + office area, 2.5 bathroom home in Elk Grove!